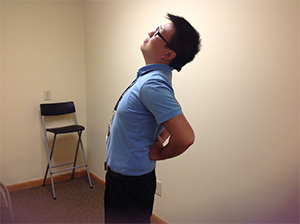 Back Pain Chiropractor Minneapolis | Chiropractic Treatment St. Paul | Moua-Lor Chiropractic & Acupuncture, P.A. Back pain is one of the most common ailments that people experience today. Many people seek out chiropractic treatment for relief from this pain. One of the leading causes of disability worldwide is back pain and it is frequently a common reason for visits to the doctor’s office. The back is a complicated structure containing bones, joints, ligaments, muscles, discs, cartilage, nerves and more. This means that back pain can be caused by a vast array of things including sports injuries, or even simple movements such as picking something up off the floor. Arthritis, poor posture, and even mental stress can contribute to back pain as well. Chiropractic can help to restore a normal range of motion free of back pain. How Can I Minimize Back Pain? Chiropractic is a great choice for treatment of back pain. Chiropractors help to relieve back pain through manipulation of the spine. Chiropractors help keep the spine in proper alignment so that the body can function as intended. This also helps to reduce back pain. In addition to spinal manipulation chiropractors can help find out what is causing back pain and recommend exercises and give patients other tips to reduce back pain and the possibility of back pain reoccurring. If you are struggling with back pain chiropractic can help you. Give us a call at 612-529-0202 in Mpls area or 651-224-9400 in St Paul area to set up an appointment today.